Carolina Blues Cattery, located in the Charlotte area of North Carolina has available kittens. Please email to inquire. This beautiful, silly, little seal point boy is available. Ready to leave us May 2019. If interested in purchasing a kitten from us, please email and let me know a bit about yourself and the kitten that you are interested in. Kittens are chosen in order of deposit received. 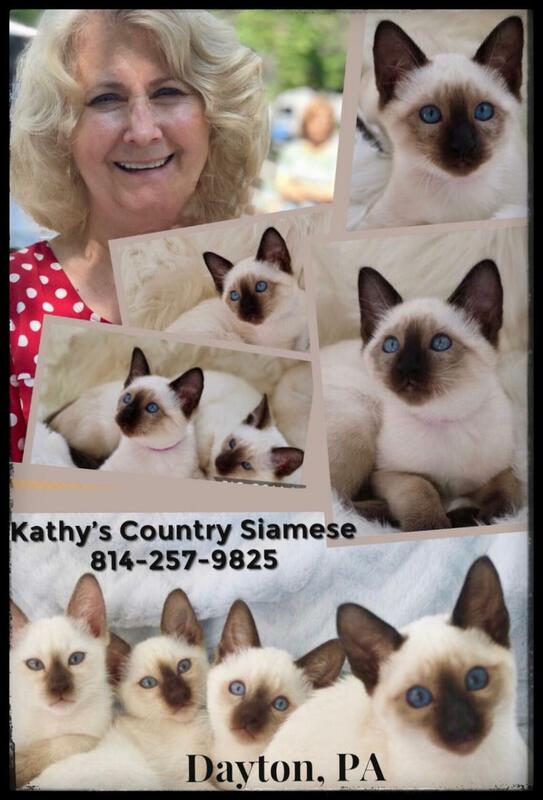 Several beautiful Siamese kittens are available now from our dear friend Kathy of Kathy's Country Siamese. Located in Dayton PA.
Kathy's kittens are home raised, never caged. Email carolinabluescattery@gmail.com and let me know a bit about yourself and the kitten that you are looking for. Our Siamese, and Siamese in general do best in homes where there are folks at home "most of the time". Homes with children and other pets are ideal. We do not sell breeding rights and we do not ship our kittens. OUR HOME IS A HAPPY ONE. WE ARE BLESSED. Thank you Silke for the great shots of your boy Titus. He is just beautiful! Our kittens are very outgoing and "people oriented". Our Siamese and Siamese in general do best in homes where there is a constant companion, either human or pet. Homes with children, animals, retired folks, and folks that work from home are ideal. Carolina Blues does not sell kittens to homes where there is no one home all day and folks work a full time job. In this case, you are recommended to buy two kittens. An unhappy Siamese is an unhappy customer. There are far too many cats surrendered to a Siamese Rescue because breeders are placing their Siamese in the wrong homes. 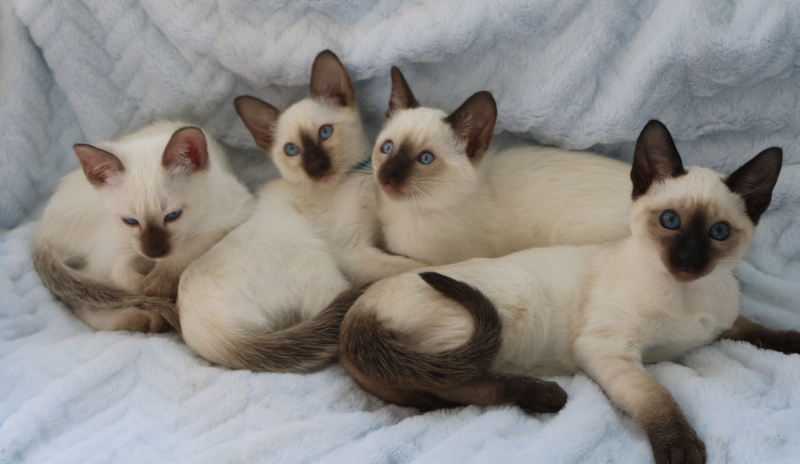 Please make sure that you are ready for a large presence in your home when ready to add a Siamese to your family. We welcome all questions. If you have never owned a Siamese before, we will be happy to discuss the needs of this wonderful breed with you. If interested in a kitten from us, please do write and let us know a bit about yourself. Also, let us know a bit about the kitten that you are looking for. We welcome all emails and photos.